I started out with a wonderful new breakfast, thanks to Kristen! 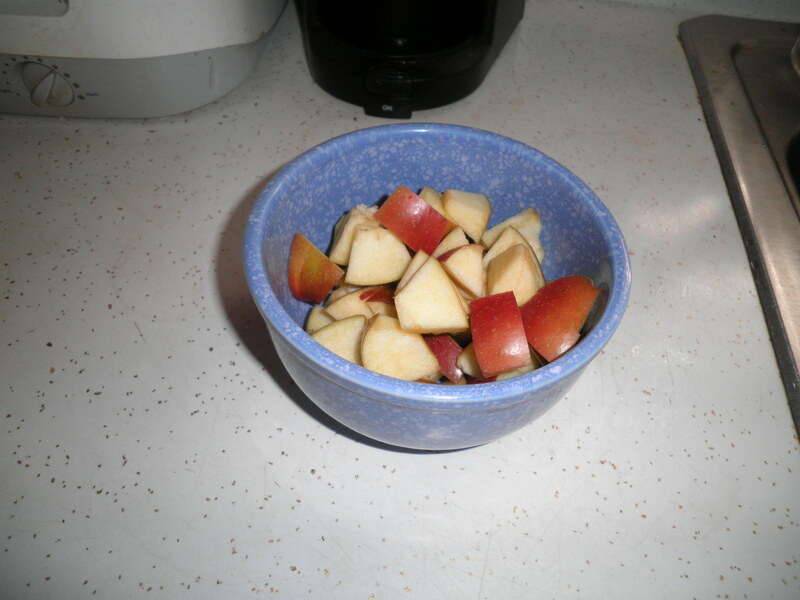 I had blogged about eating my apple with Greek yogurt. 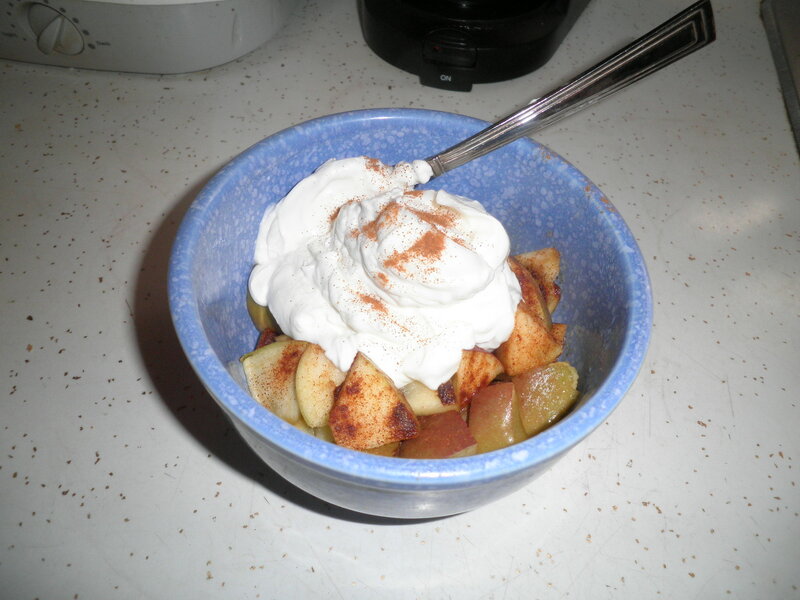 Kristen suggested I microwave the apple first with cinnamon then adding the yogurt. She’s a Genius!! 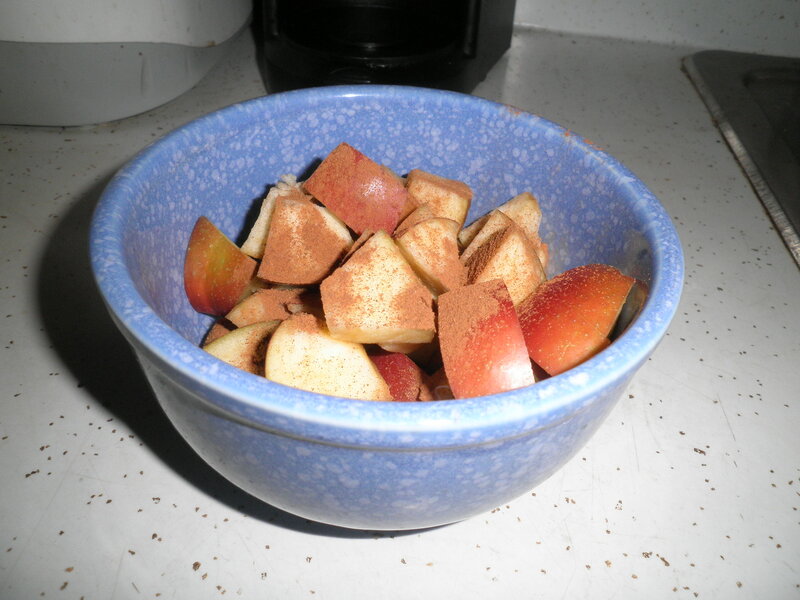 Chopped up my BIG apple (the last of the Fujis from my produce adventure) Added lots o’ cinnamon and 2 Splenda. After microwaving for 1.5 minutes…topped with yogurt…Ta Da! Do you think I liked it!?! 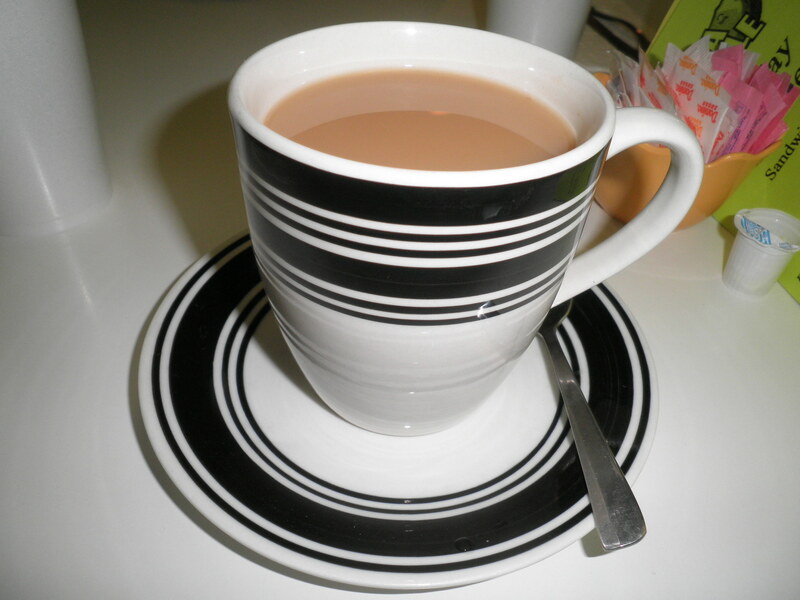 … the biggest cup of tea in the world! It was a good choice and I enjoyed it! 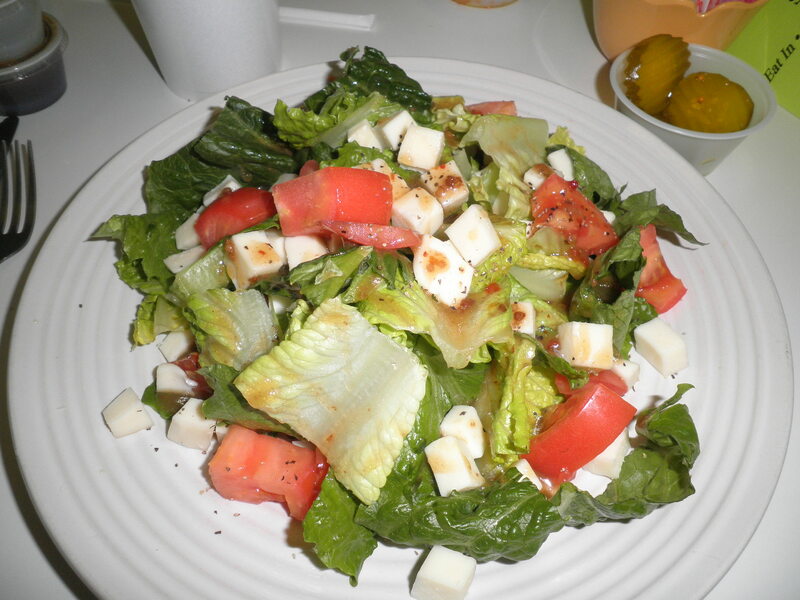 I had the Caprese salad again, Romaine, tomato, mozzarella cheese with the Balsamic vinaigrette (I stick with what I like…) Please note the pickles in the background. 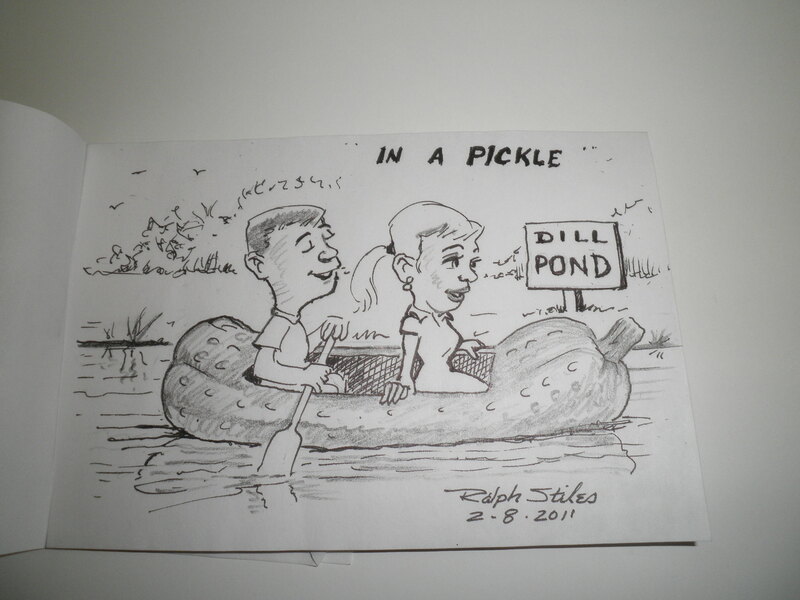 Of course, Ralph drew a sketch for the waitress..
He’s too funny, he loves to draw for people. Now if I could just get him to understand he concept of selling his art. I keep working on him. Since I had been up since 3:30am for no reason I can understand, I came home and took a nap. Dinner was not interesting, just veggie burgers while I watched Glee. My real success for the night was that all I ate after dinner was a small piece of my Angel Food Pineapple cake. I’m happy about that and proud of myself. Maybe I’ll have an enjoyable Saturday morning! Stay tuned. **A Big Hug for whoever can identify where I got this title. Eeeeeee! We had the same breakfast today!!! Adorable. And I know where you got the title, but it’s because I cheated with Ms. Google. I deserve no (additional) hug. But now that I know, I remember it! (Maybe that counts for like 0.25? I think you get a hug anyway! 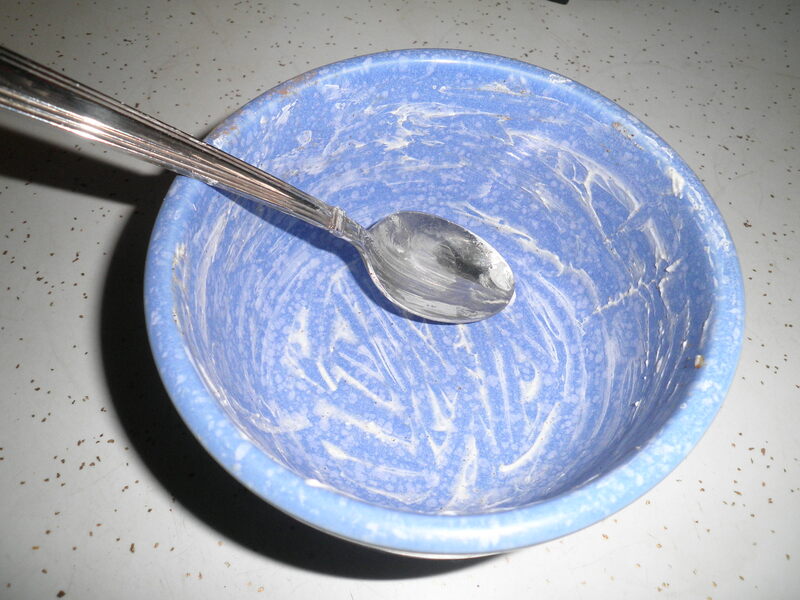 Breakfast was so good…you were so right!